Dhruv gets angry! TPK Thapki Pyaar Ki 18th July 2016 Episode Written Updates :- In the last night episode of the TV series Thapki Pyaar Ki it has been shown that Shraddha was staring at Thapki and Dhruv was thinking about her and Dhruv also thinks to blackmail Thapki. Dhruv also keep a condition to Thapki that she will have to receive the gifts. Thapki asked him to let her know where is Bihaan as Dhruv promised her that he will call Bihaan if she will be taking the gift but Dhruv said that promised are mean to be broken. Dhruv holds her hand and said my moon is with me, you Thapki need to me she can’t belong to somebody else. Dhruv himself on Thapki meanwhile, Bihaan arrives there and Thapki looks at him. In that time Dhruv also leaves her hands although he was holding the same but Thapki asked to him that she will reveal him in front of Bihaan. So Dhruv leaves her but also asked her that now Bihaan can slip and fall down from the downstairs. 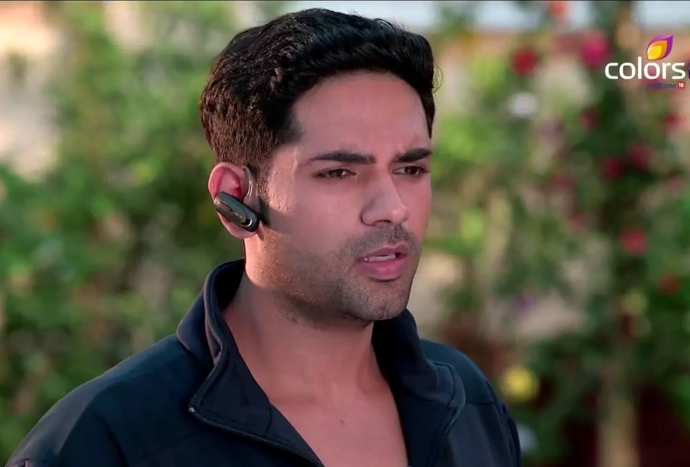 Dhruv also shows her a recording in which he asked that now Bihaan will be doubt on you. Somehow Thapki also shocked to know that Bihaan is locked somewhere although Bihaan screams loud and he managed to free himself from the lid of the drum. Also now Bihaan get conscious and he asked the family that he was the lock there on the drum. Thapki is now broken down in tears, embraced Bihaan and rushes to her room. Now Shraddha arrived and asked to her that how important husband is a girl. Precap: Dhruv will try to flirt with Thapki that he wants to go in the date with her but Thapki will challenge Dhruv that she will have a real date now and if he dares to stop her and Bihaan then he will have to pay for it.